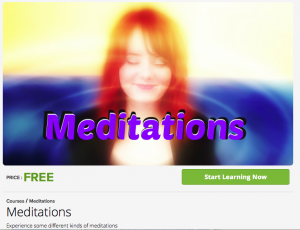 First let’s look at a past life regression. Have you ever had a pain somewhere in your body that wouldn’t go away? Have you ever wondered why, that no matter what you do, you never seem to get ahead in life? I did. Past life Karma can be the cause of both. A past life regression is a technique that uses a trance like state to recover memories of past lives or incarnations. The idea is that the client is taken back to a traumatic death that is a memory, through which the pain or suffering was created in the past, and is connected to future lives, through emotions. Reliving the trauma is a way to recognize the reason for the pain or suffering, and thus releasing it. My experience was intense. During my past life regression I saw myself as a sailor, who, discovering a tropical island, ventured out, and stumbled into a river. There, my foot got caught between the rocks, and I struggled to release it, but then I drowned. The pain in my foot was excruciating, and I had difficulty breathing during the session. At one point, I felt paralyzed both physically and emotionally. Going through the death was scary. I was guided through it several times, until the emotion connected to the pain was released. After going through this traumatic death, later the pain slowly went away from my foot. It really worked. 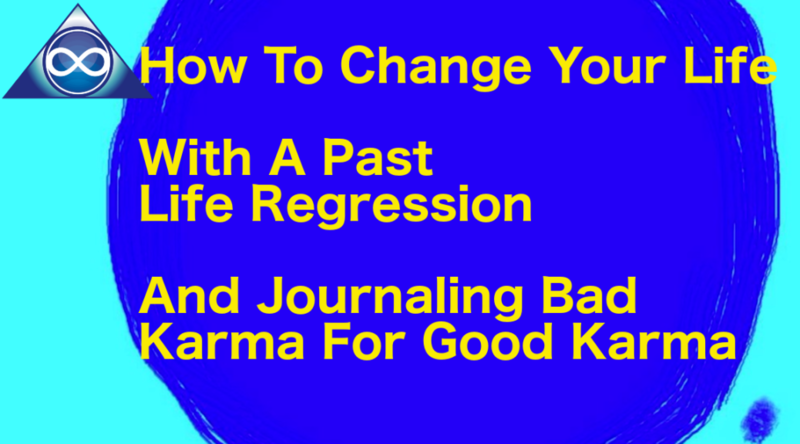 A past life regression is great for dealing with any suffering, but to change your life, and keep your karma clean or positive, using a karma journal is the way to go. It teaches you how to be in control of the one thing that is responsible for your future karma: your thoughts. It’s harder than you might think. The idea is to use a powerful journaling technique to realize your thoughts, what they create, and how they influence our life. A thought comes first before a deed. Both are important for creating positive karma. When starting journaling I saw the biggest changes in every area of my life, because I realized my thoughts, and the thoughts of others, and I learned more about myself. And that helped me to understand how important it is to transform my thoughts. 1. From today on, write down all of your negative thoughts, and the negative thoughts that you hear from other people too. Transform these negative thoughts into positive ones. This is a very important process, and it’ll change your life for the better, including your future karma! We need to learn to acknowledge our negative thoughts, and to be aware of them. We need to be aware of what other people say, or what they think, so that we can transform them as well! Spoken: We need to learn to catch our thoughts, and the words of others the moment they happen, so that we can transform them as soon as possible. -Write the date and prepare 4 columns in your journal. -in the first column right: everything that appears to be negative as a title. Underneath Write down every situation of the day that made you feel bad. This can include negative thoughts you had, negative words and actions of others. Even the bad stuff on TV or the internet. All of this information gets imprinted on your emotional and mental body. And will have an effect on your life. 2. In the second column write: The transformation into positive as a title. In this column you have to find reasons why the negative can be the positive. Bridge this by saying: how good is it that: and find a reason. Write about forgiveness letting go and so on. (Example:) If you experience lots of negativity at work, an argument with your boss, you could say: How good is it that: I can go to work each day, earn money, and support the people I love.